We’re one week on from the Pacific Links Hawaii Championship, where Davis Love III made his debut in the Champions Tour. Unfortunately Love III looked a bit rusty, as after a solid start he had two poor rounds to finish tied for 64 at -3. Favourite Vijay Singh couldn’t even crack the top 10, finishing tied for 12 with -13. He went into the final round looking good but shot a 72 which brought him down the standngs. The winner was Paul Goydos who has been incredibly solid. He’s played 5 events, won 1 and had 3 Top 10 finishes so it was nice to see Goydos to it. He was something like 33/1 for that, so no surprise he’s a bit higher in the Nature Valley odds, ranking in at 18/1. So this week we’ve got the Nature Valley held at the infamous Pebble Beach golf course. Will Kirk Triplett be able to repeat? He’s won the last two courses. And you can’t count out Jeff Sluman, who has won 3 of these since 2008. Triplett is 16/1. He’s owned this course the last two years – it’s hard not to bet on him again. In 2012 he was -10 with McNulty in 2nd at -8, then the next ones were -6. That’s a big difference. In 2013 it was a similar story – Triplett was -11 while everyone else was at -9. There’s also no consistency from the others out there. Triplett has had an up and down season. He got off to a great start early on, winning the ACE Group Classic. He struggled since then and then got 3rd and 2nd in June. He’s had an up and down season but with his consistency here, you have to expect him to be there, or thereabouts at the end. Bet: Kirk Triplett E/W to win the Nature Valley First Tee. Bet this at Bovada for Americans. I’ts been a mixed year for Paul Goydos. He struggled badly on the PGA Tour with cuts in over 80% of the courses. Since joining the Champions Tour however, he is starting to find his groove. He started it well with a 9th place at the 3M Championship. He struggled a bit after that but we’re seeing consistency in him now and he’s really looking good. We think that after last weeks win he can continue to do well, and battle for a top place finish here. Bet: Paul Goydos E/W to win the Nature Valley Tee. Bet this bad boy at Bovada for Americans. We had Haas last week and he came close to a cash for us, being tied for 7th. We’ve been impressed with his consistency, and this is a course he does good at. In 2012 he was tied for 3rd, and in 2011 tied for 2nd and with his consistency this year we think he’s another contender that we’re going to back. Davis Love III was a consideration due to his history at Pebble Beach. But after watching last week we think he’s going to need a few more courses to settle down in the Champions Tour. 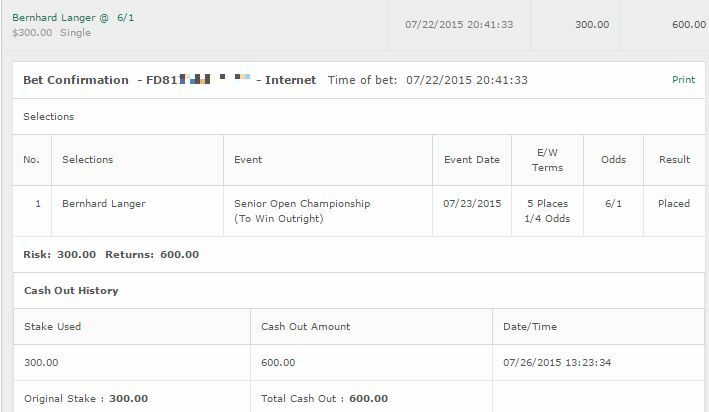 Bet: Jay Haas E/W to win the Nature Valley Tee. 16/1 odds at https://www.GTBets.com. We were very unlucky here. Triplett came damn close, but ended up tied for 6th place. 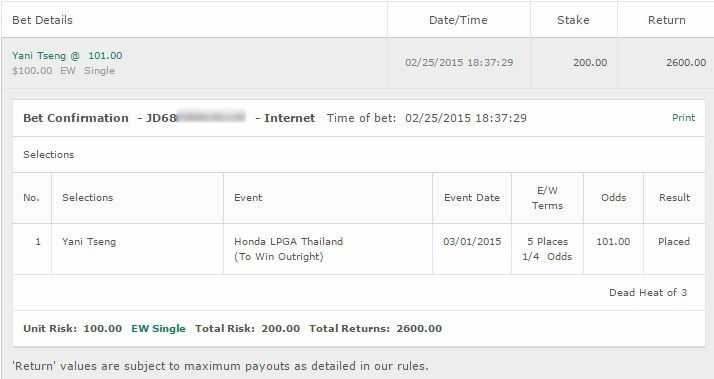 If he had just shot 1 better we would have cashed. Very unlucky as he was a nice price at 16/1. Paul Goydos was another close one. 5th place was -9, and he was -6 just 3 off there. If not for a 72 3rd round, that would have been a nice one. Finally Jay Haas came tied for 10th at -7. 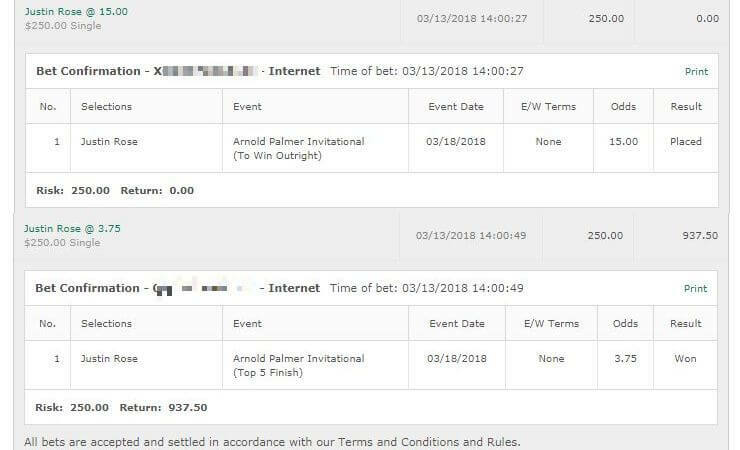 Three very close ones that made for exciting golf, with all 3 of them failing on the last day.